Selling to existing clients is easy. But casting a wide net to new companies? That’s a challenge. Give a salesperson a prospect and he’ll sell for a day. Teach a salesperson to effectively prospect and he’ll sell for life. 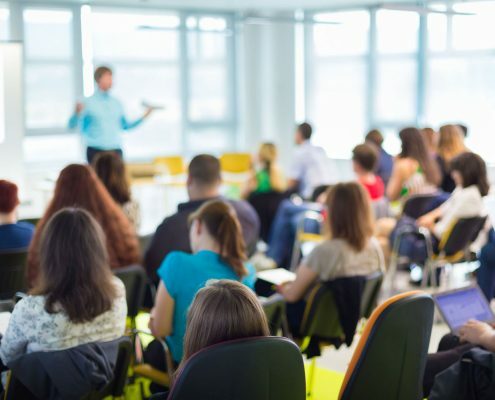 Connect 5000’s intensive, customized training seminars tackle the most challenging obstacles facing your software and technology sales team today. How to write an effective introductory email or sales letter that gets a response. How to leave effective voicemails that arouse prospect’s curiosity and get your phone call returned. How to find a decision maker’s direct phone number and email address using LinkedIn and Data.com. How to bypass the gatekeeper and directly connect with executive decision makers. How to articulate your value proposition and capture someone’s attention in 10 seconds or less. How to ask open-ended questions to prospects that uncover pain, problems and challenges. 2 sample introductory snail mail sales letters that generate replies. 7 effective introductory and 4 follow up sales emails that elicit responses. 6 effective voicemail samples that get decision makers to return your call. Opened-ended questions to identify and qualify prospects to secure sales meetings. Management and accountability tools to ensure your sales team is keeping their sales pipeline full. Just 1 new client will more than pay for this training investment if you put our strategies into practice! Sales Leaders: What are the biggest challenges your sales reps face with prospecting? What have you done so far to help them improve their prospecting skills? Call us at 913-481-8941 if your sales team struggles connecting decision-makers!